As tax day looms just a month away, Quicken, maker of the best selling personal finance software, conducted a survey revealing that Americans are more anxious than ever in the runup to this years’ tax deadlines. Springtime every year brings sunshine, new leaves on the trees, and a few more sleepless nights for millions of Americans. Over half (51%) said they experience tax anxiety on a yearly basis. Of course, this year’s tax deadline comes with a whole new set of rules and regulations than years past. Of those polled, 42% have more tax-related anxiety this year than in previous years. Fifty-six percent of those people credit the new tax law as the reason for the anxiety spike. We may be far from done with tax season, but many people have already filed. 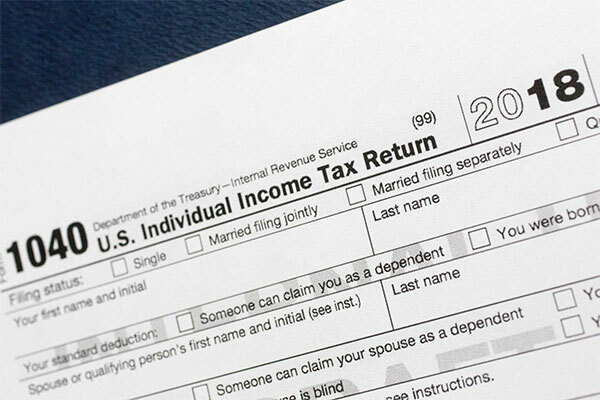 As of March 15, just over half (52%) of respondents reported being done with their taxes. And how did those respondents net out? Forty-six percent reported paying more federal taxes this year than they did last year. While you can’t avoid taxes altogether, plenty of people wait until the last minute to confront them. While 1⁄3 of people start their taxes in January, as soon as documents start becoming available, 43% say they’ve waited in line at the post office on tax day at some point in the past, and 17% have filed online after 11PM on the deadline day. One in ten (11%) of those surveyed have skipped out on paying taxes altogether at some point in their lives. Men are twice as likely (15%) to say they have skipped paying taxes than women (8%). Patience May Pay: Of course, waiting to the last minute can be a good thing -- if you owe money on your taxes you may want to keep it in an interest-bearing account until the deadline so you can maximize your money. Reward your Retirement: The best possible thing you can do is to max out your retirement accounts. If you haven’t contributed yet to your Traditional, Roth or SEP IRA, don’t fret -- you have until April 15 to do so. Tweak your Withholding: Sure, it’s nice to get a big tax refund, but it’s also a sign that you may be putting aside too much throughout the year -- and that’s money that could be working for you! It’s a good idea to adjust those withholdings at the beginning of the year. Financial Tools Help! The good news is that financial tools help — sixty-five percent polled say using personal finance tools throughout the year make it easier to do their taxes come April.